These lads love to laugh! Their shows reflect the brotherly bond of two circus hooligans, who keep their audiences transfixed with a spellbinding combination of spectacular tricks, and slapstick tomfoolery. 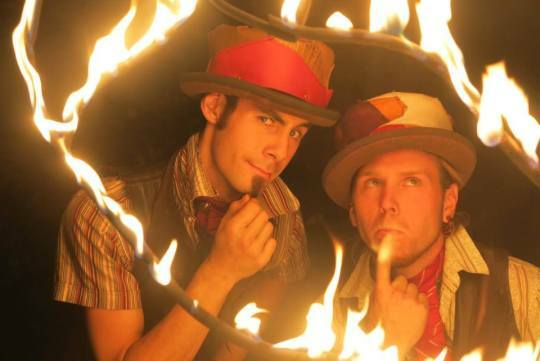 An extraordinarily talented duo presenting Circus, Fire and Object Manipulation, from New Zealand. They began performing together in 2011. The playful and creative duo quickly incorporated slapstick, physical theatre, and a wide range of props into their acts. They have a background in circus and performance arts and have toured together in New Zealand, Australia, Europe and USA.